Warm weather and long days can often serve as an enticement to walk around barefoot. Unfortunately, doing so in unclean public areas can easily result in the development of one or more plantar warts. Like other warts, plantar warts develop as the result of a virus. The human papillomavirus (HPV) enters the skin through tiny cuts or abrasions that may not even be visible to the naked eye. When the virus causes a wart to develop on the sole of the foot, these are considered plantar warts. Warts on other parts of the foot are not considered plantar warts, although the treatment is usually similar. If you have developed a plantar wart in Los Angeles, you should seek treatment from an experienced Board Certified podiatrist like Dr. Jamshidinia. He can help remove your plantar wart safely and effectively. The most common areas for plantar warts to develop are on the parts of your feet that bear weight, such as the heels and balls of your feet. The pressure of having weight placed directly on the wart can be quite painful, as can pressure against the side of the wart. Despite the fact that they may be painful, plantar warts are generally considered to be harmless. Still, it is usually best to have them professionally removed to avoid discomfort. Lesions or growths on the soles of the feet. These will usually be fleshy or grainy in appearance. A localized callus. This hardened skin can develop over a wart that has grown inward. Small, black spots. Sometimes called “wart seeds,” they are actually blood vessel clots. An infected patch of skin that causes breaks in the sole’s pattern of lines and ridges. Pain when pressure is applied to the sole of the foot. If you notice one or more of these symptoms on your feet, or the feet of your children, you should make an appointment to see Dr. Jamshidinia. Although there are several home treatments available, many of these use harmful acids or other chemicals that can damage the healthy tissue surrounding the wart. If you are having trouble identifying a painful lesion on your foot as a wart, you should also see a podiatrist to make sure it is not something more serious. Freezing is one of the most common methods for removing warts. Liquid nitrogen is usually administered using a cotton swab or spray application. This causes the wart to blister, with the skin sloughing off within a week or so. This is a chemical treatment that is applied directly to the wart and covered with a bandage. This usually causes subsequent blistering, which can be painful. About a week after the initial application, Dr. Jamshidinia will cut away the dead part of the wart. These treatments utilize a variety of substances to stimulate the body’s natural healing response. Interferon or antigens may be injected directly into the site. These cause the body to increase antibody production to fight the wart, but may also cause flu-like symptoms. Imiquimod is a cream that produces similar results and side effects. It can also cause inflammation at the site and damage to surrounding tissues. After anesthetizing the area, Dr. Jamshidinia can remove the wart using a scalpel or electric needle. A laser can also be used. Surgery is the least-preferred option for removing plantar warts, as it runs the risk of causing scarring. 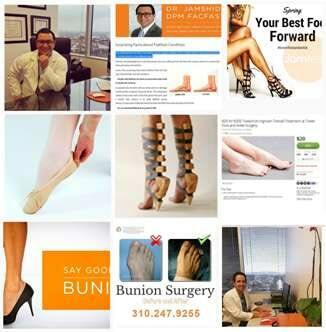 Scars on the soles of the feet can be painful and are usually irreversible. The proper treatment for your plantar wart will depend on your individual case. 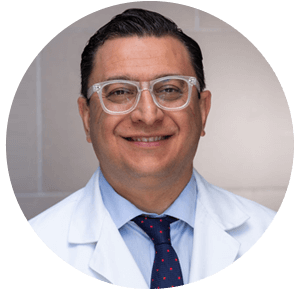 Dr. Jamshidinia can help recommend the best course of action to safely remove your wart with optimum results during your consultation with him at Tower Foot and Ankle in Los Angeles. Q. What is the difference between a plantar wart and other kinds of warts? A. Plantar warts are identified as such because they occur on the soles of the feet. They usually form on the pressure points, such as the heel or ball of the foot, and can develop hard calluses over them. Q. How can I prevent plantar warts? A. Preventing plantar warts can be as simple as wearing shoes or sandals in all public places, especially locker rooms and restrooms. Going barefoot in public should be reserved for sandy beaches only. Avoid contact with warts (even your own) and any grooming tools that may have come into contact with a wart. Finally, keep your feet clean and change your socks daily. Q. Do home treatments work? A. Home treatments for plantar warts can be effective. However, a trained podiatrist can remove plantar warts with greater safety and efficiency. In addition, a doctor can also identify other conditions that may be more serious.